Important information for CDM Co-ordinators. A Bristol-based company has been fined for putting its workers at risk of asbestos-related diseases while working on a property in the city. The company, of St George, Bristol pleaded guilty at Bristol Magistrates in relation to refurbishment work at an industrial Park in the city. The court heard Health and Safety Executive (HSE) inspectors visited industrial units where the defendant had organised refurbishment work involving the removal of a large quantity of asbestos insulation board without taking statutory safety precautions. This led to exposure of the workers to the asbestos and also the contamination of the units being renovated. The court heard the company plead guilty to breaches under Regulation 14 of the Construction (Design and Management) [CDM] Regulations 2007 by failing to appoint a CDM-coordinator or principal contractor for notifiable construction work and Regulation 4 (10) of the Control of Asbestos Regulations by failing to review or implement a plan to manage materials containing asbestos. “The decision not to have large quantities of asbestos insulation board removed by licensed contractors before the general refurbishment work began, put the workers at risk and contaminated the site…. The work was stopped and the defendant paid to make the site safe, but this doesn’t change the fact that seven construction workers were exposed to asbestos, which we know can cause fatal diseases. Are you a Principal Contractor? 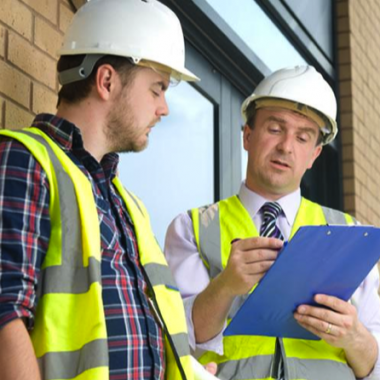 The client must appoint a principal contractor for every Notifiable Project – this is usually the main or managing contractor on a site. The principal contractor has particular duties and responsibilities in ensuring the safe management of a site. Our courses can assist you to comply with legislation when dealing with or removing asbestos……give us a call.